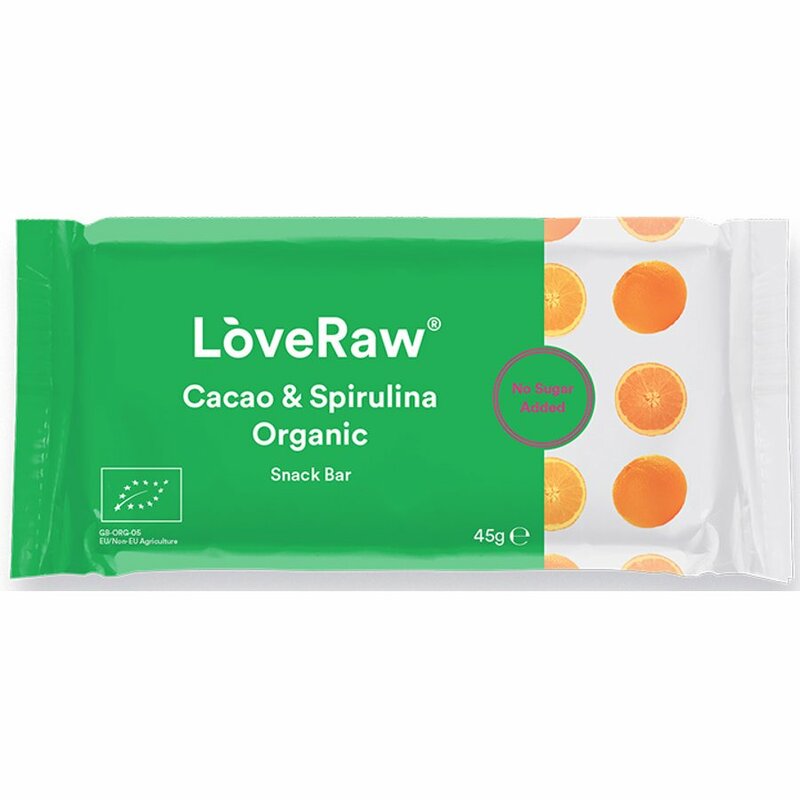 Using the finest clean ingredients that are 100% certified organic, the cacao & spirulina superfood energy bars by Love Raw are a fabulous wholesome snack. 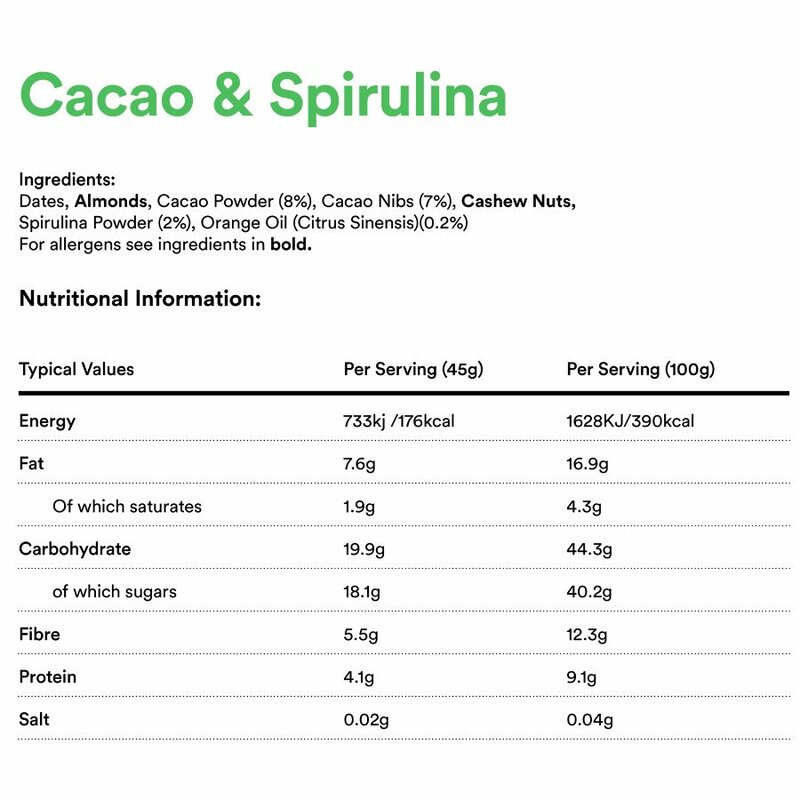 The spirulina is an algae, which is often known as being the most nutritionally rich superfood and the raw cacao is 100% pure and unprocessed and full of natural antioxidants, particularly polyphenols and flavanols. Rich in Omega 3, 6, protein, and plenty of nuts it is perfect for keeping you fuller for longer. Dates, Almonds, Cacao Powder (8%), Cacao Nibs (7%), Cashew Nuts, Spirulina Powder (2%), Orange Oil (Citrus Sinensis) (0.2%). 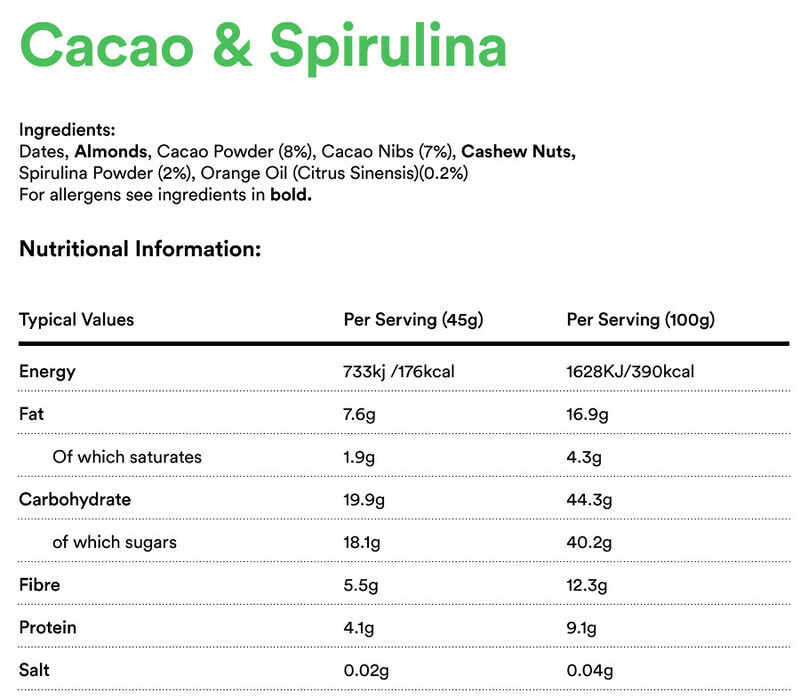 The Love Raw Cacao & Spirulina Superfood Energy Bar - 48g product ethics are indicated below. To learn more about these product ethics and to see related products, follow the links below. There are currently no questions to display about Love Raw Cacao & Spirulina Superfood Energy Bar - 48g.